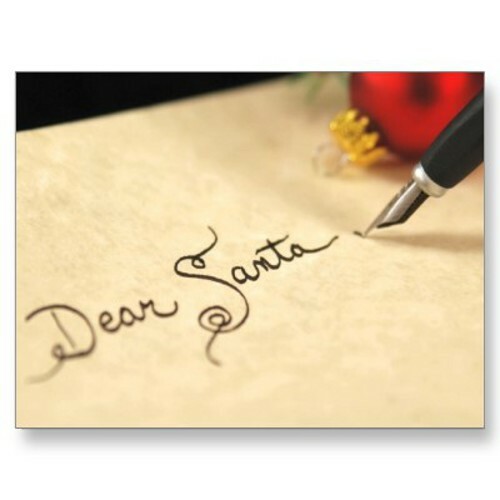 With some trepidation, I decided to publish my personal letter to Santa this year. All of my life I have kept my communications with Santa private in fear that it might hurt my chances of having my wishes fulfilled. Though my last 50 plus attempts have failed, at this point I don’t feel I have a lot to lose. I think I have been good this year, or at least I’ve tried very hard to be good. Ok, in all honesty, I could probably say that I have not been actively bad, or at least I have not been actively bad “all that often”. That being said, I guess I could use some clearer definitions on exactly how “you” define good. That would be helpful in my future endeavors. I’ll keep my list short because I know you’ve got to fill the stockings of all those so-called “innocent” children who are in fact riddled with dark, primal impulses and conditioned and overwhelmed by commercialism and the media. Let me take the opportunity to congratulate you on your years of marketing skills. (Yes, I am kissing up to you. You probably get that a lot this time of year) You must be very proud of the product you’ve sold each year. 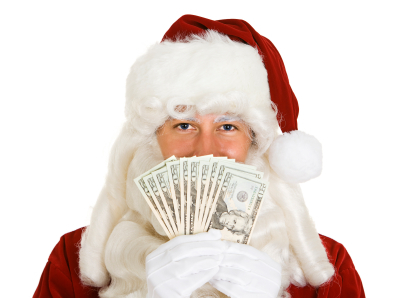 Over the years, you and your staff have done a wonderful job in “selling” Christmas to the masses. As a matter of fact, stores have put up Christmas displays as early as September and you have even convinced radio stations to play Christmas songs as early as October. Not to mention the endless loop of Christmas movies that play on the Hallmark Channel. But I see trouble on the horizon and I understand that my previous letters to you have been unsuccessful and probably unread, but I am holding on to my wishes and remain hopeful that this year you will make an exception and read this one. After all, being a kid is a lot of fun even without Christmas, but being an adult is seriously not-fun most of the time. I know you might consider that accepting a list from me would be setting a precedent that you do not want fulfill, but, in my opinion, the whole Christmas project needs to be radically re-envisioned. I don’t know if you’ve looked at your traditional client base lately, but they aren’t exactly filled with believers. I hope you have a nice Christmas, but if you don’t turn up this year, I’m prepared not to believe in you anymore, and frankly, you need all the followers you can get. Trust me, I know a lot of people who are having serious doubts. If you do exist, you need to re-target your market to include a more mature demographic. Because in case you haven’t noticed, it’s not the kids that keep you in business. It’s adults. And it won’t be hard to find someone else to put on a red suit, stick on a beard and work one day a year. Get what I’m saying? There are a lot of movies that allude to the fact that you don’t exist. But I am holding on that you do indeed exist even if it is somewhere deep in the confines of my imagination. So, Nick – if I may be so familiar – I was hoping to keep it real and talk man-to-Santa. The things I really want for Christmas cannot be bought. Like the Grinch, who learned that Christmas doesn’t come from a store, I am not asking for anything to be bought specifically for me. I am at the point in my life that if I want anything that can be purchased, I will buy it myself. That does not mean that I am not asking for some things for me. Honestly, I am not asking out of selfishness but out of a desire to be a better man tomorrow than the one I am today. 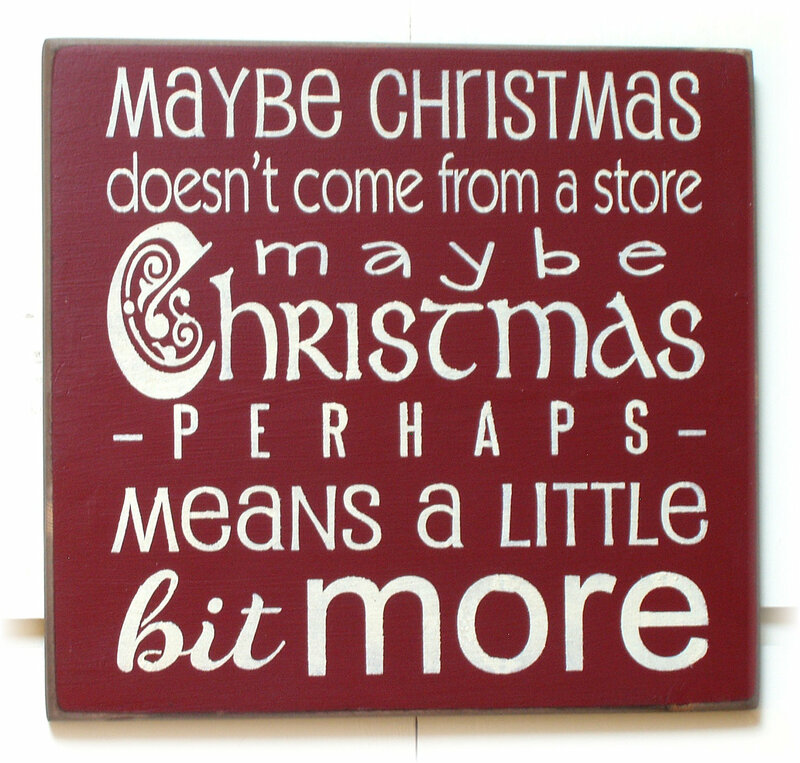 I learned a long time ago that Christmas means a little bit more than most people consider. No offense, but one thing is for sure, it’s not about you. More importantly, it is not about me. It’s about Jesus Christ. It is really only about HIM… but I’m sure you already know that. On that note, let me share with you my Christmas list this year. Hopefully, you’ll be able to help out this year. The ability to turn on the news without seeing acts of mass horror and terror. That every person would truly understand the gift of grace that God offers to each one of us. The good sense to be gracious for life and health. The ability to live my life so that others see Christ in me. The opportunity to make things right with those that have found fault in me. An understanding that life is too short to worry about what everyone else is saying and doing. The opportunity to rid myself of selfishness, love of money, pride and rebellion. The ability to humble myself before God and before others. A deeper appreciation for my employer and the career I have been allowed to be a part of. Knowledge to see the wealth in life that goes far beyond material things. The closeness of true friends. Thankfulness for the comfort of the home my wife has made for me. Good health for all of my family. Continued growth, health and protection for my grandsons. The ability to lose any bitterness in my life. That my heart will know nothing but love, forgiveness, and mercy for others. So, in closing, Santa, that is what I am wishing for. I could go on but I realize you are on a time constraint and it may take few hours for you to pull this together for me. Again, if you choose to not visit me this year I will try to understand. 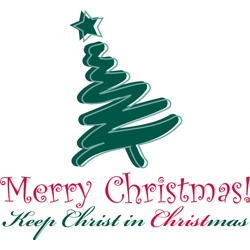 At the end of the day, please do your part to “Keep Christ in Christmas”. It is important that you not forget this. In a time of multiple tragedies, fear and terrorism, we need love, mercy and compassion more than we ever have. Now is not the time to dwell on material things. Santa, if you can take anything from all of this, it would be that the things of this earth are not permanent and they will perish; if you are spending your whole life building it off of material things and not on the meaningful things, you will always find yourself missing something. So if you’re celebrating Christmas this year, please remember all that our Savior has done for us and to make an effort to reciprocate that into the world around us. No matter what you celebrate, or even if you don’t, Merry Christmas, and I wish upon you the utmost love and peace that only Christ can give. The world is a hard, difficult place. It is easy to see that with the events unfolding in San Bernardino, Paris and Beirut. My heart is heavy watching the news. I try to imagine what I would do in such a situation. I pray my family will never have to face such terror. I want to blame someone. I can’t. I want to fix it. I can’t. 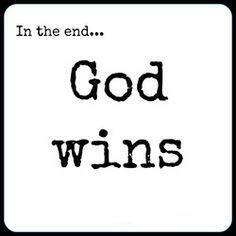 Because I believe that none of these horrific events are a surprise to God. They have taken place since the beginning of time. Why they are allowed to happen is a question I will never really understand. We have good days and many blessings, to be sure, especially living as Christians in the United States. But we don’t have to look far to see a darker side of life around the world and here as well. Poverty, abuse, disaster, tragedy, corruption, violence, and sin are parts of our daily life. It surrounds us like never before. How do we answer and live in these times? 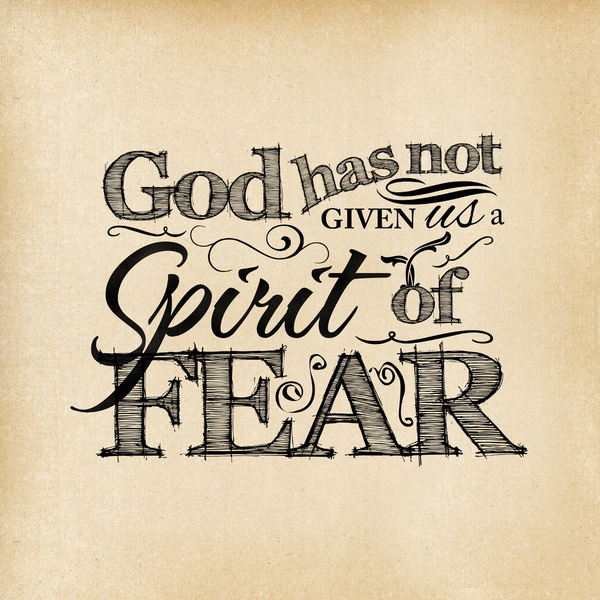 The only answer that keeps filtering through my mind is that God did not give us a Spirit of Fear. We need to trust Him. We need to understand that His ways are not our ways. When the evil of this world and sin press in so close to home, it feels much more personal. We want to protect, and many times we have a gut reaction of anger, indignation and fear. We want what is right and pure and holy to prevail.